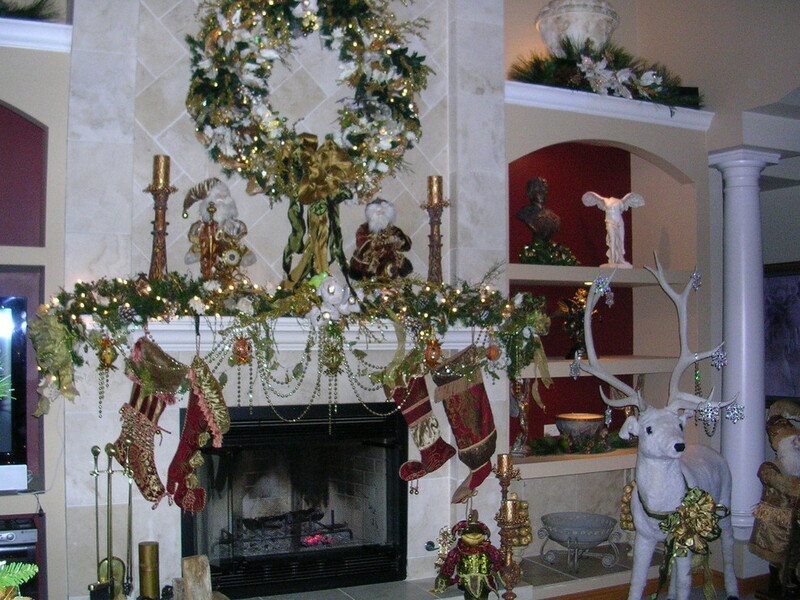 Family Room decorated for Christmas. 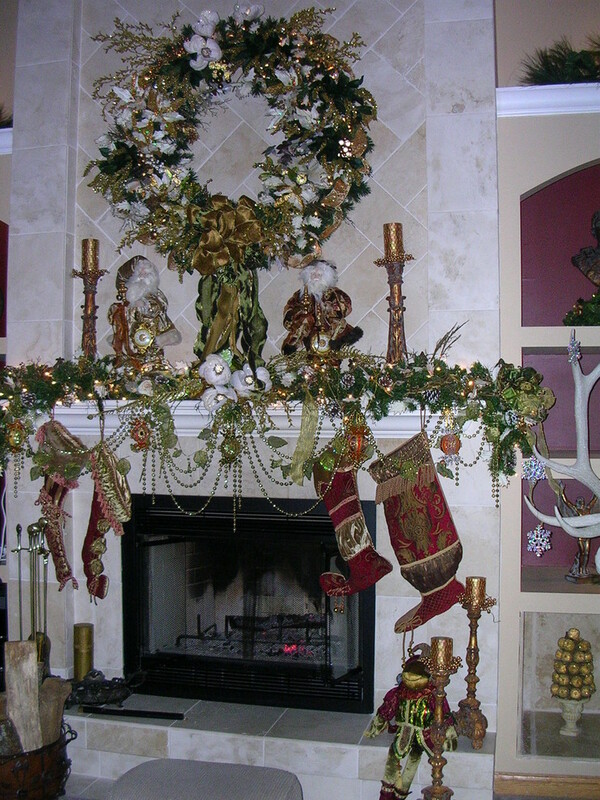 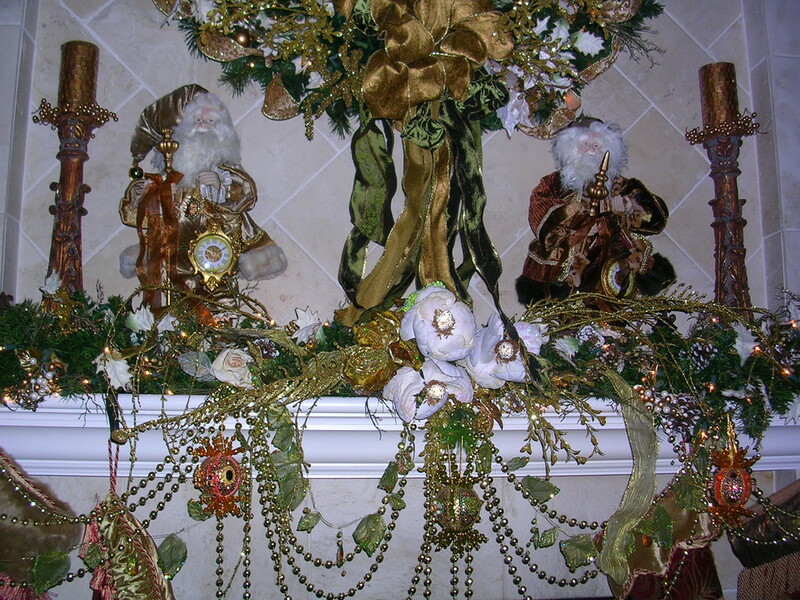 Wreath over fireplace, Garland and Santas on mantel, Christmas stockings hanging from mantel. 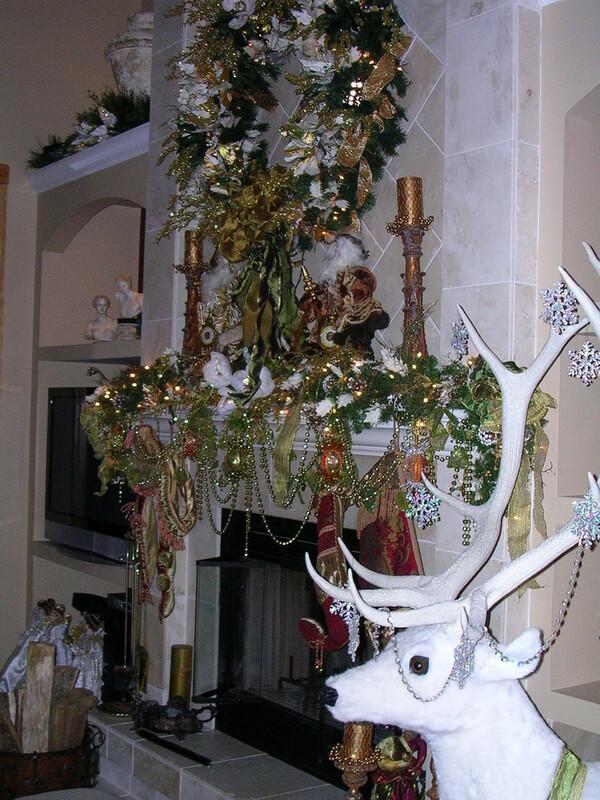 Life-size white fur reindeer. 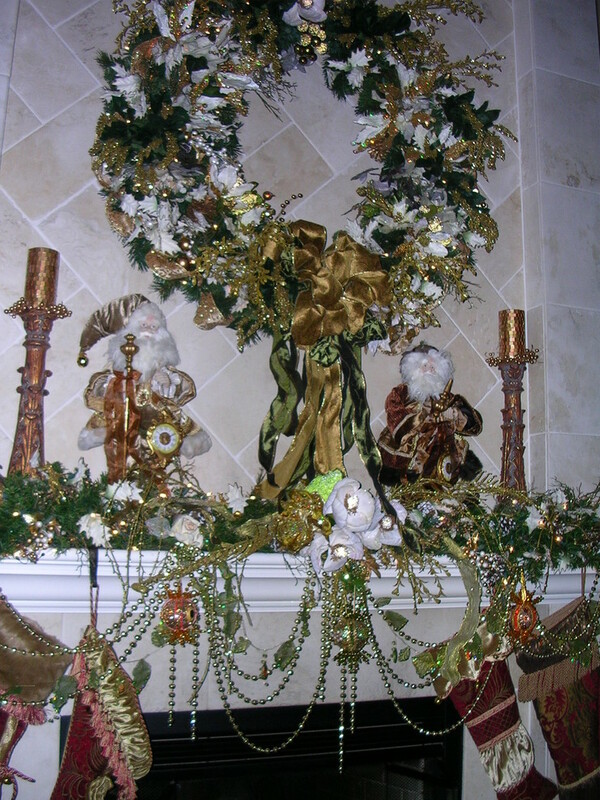 Fireplace mantel decorated for Christmas.